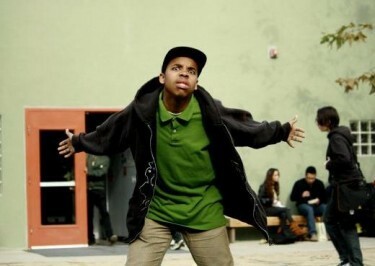 I didn’t even know that Thebe Kgositsile, a.k.a. 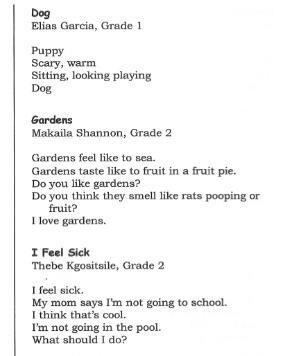 Earl Sweatshirt, went to my elementary school before I started leafing through old copies of “The Poet Tree,” the poetry collection from our alma mater, Community Magnet School in Los Angeles. His poem “Mummies” (my favorite of the two here) needs no explanation, except to note that it’s incredible to see a five- or six-year-old with the swagger of Biggie or the like. This bigger-than-the-world-and-all-the-scary-things-in-it mentality is something that many rappers front, but what makes Earl Sweatshirt so amazing is that he’s genuinely had it since he was a tot (just compare his poem to the one below his to see the difference). Carmen Johns is a student at Oberlin College.